The ladies sing in three parts, to a very high standard, and are usually accompanied by Andrew Sackett, FRCO. On occasion, we sing at Mass as well as performing at concerts and fundraising events. In 2014 we were invited to Normandy in 2014 to give the first performance of a new work to commemorate those who fell during the D-Day Landings, which is a great honour. We also traditionally hose the Parish Christmas Supper. 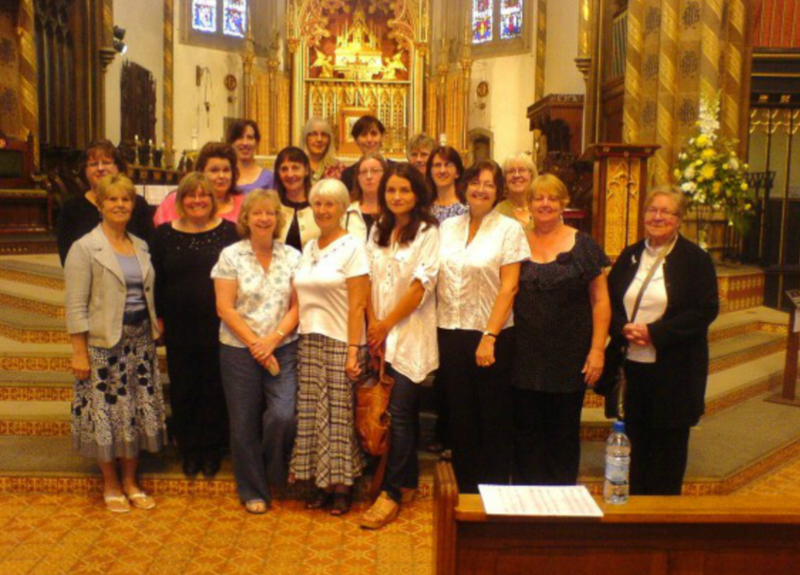 St George's Ladies' Choir meets on alternate Sundays at 2.30pm in St George's Parish Hall. There is no audition, the atmosphere is very informal and we sing a wide range of music from the middle ages to the present day. We sing Mass from time to time, as well as concerts and fund-raising events.